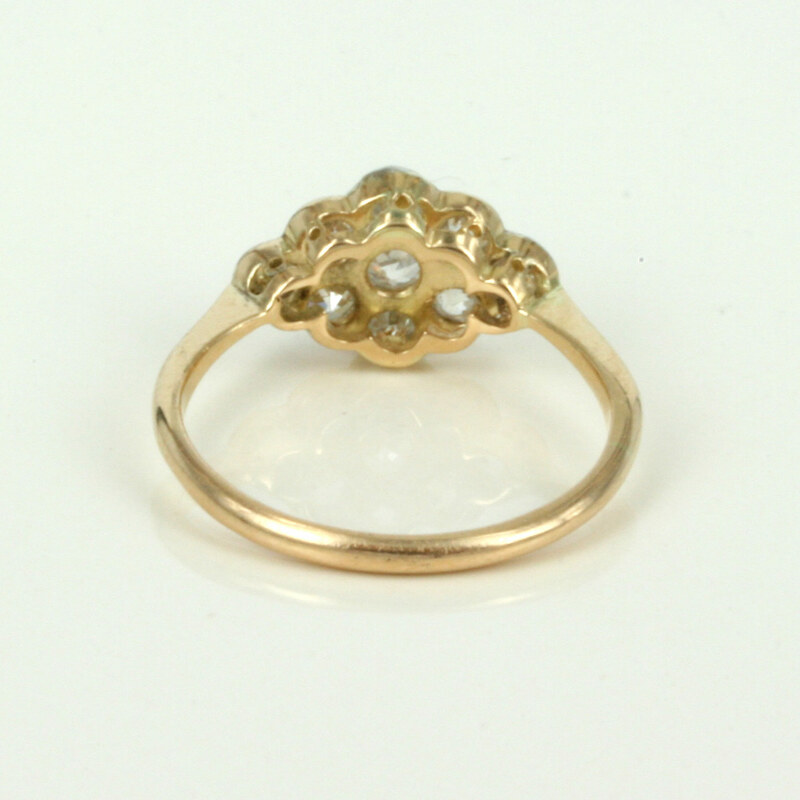 Antique diamond fancy daisy ring. Product code: 1297 Categories: Sold Items, Sold Rings. Antique diamond cluster rings are always popular and this one is so attractive and elegant and just that little bit different from most. Hand made in 18ct yellow gold and platinum, it is set with one central diamond surrounded by six more diamonds, and then these are all highlighted by an extra diamond on each side to give it a bit more sparkle. The total diamond weight is 0.56 carats, and this ring looks just perfect on the finger. A truly beautiful diamond ring, perfect for any occasion.